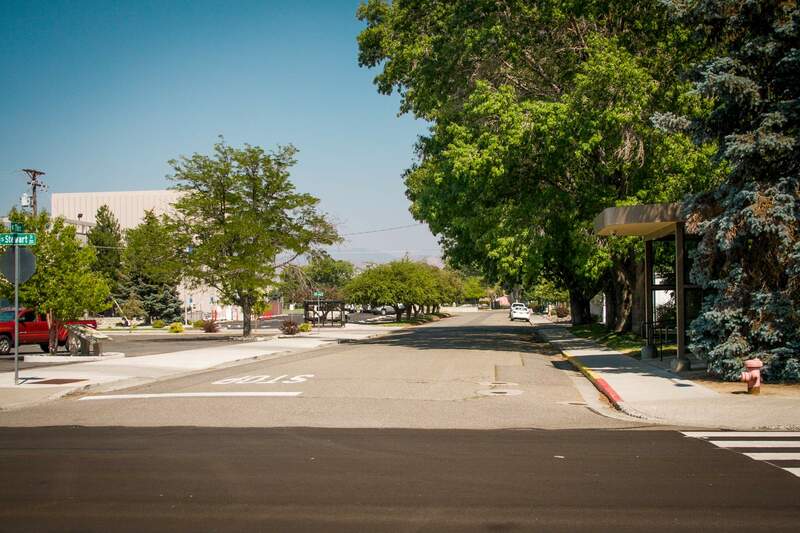 Like many towns in the West, Carson City had a Chinatown. The Chinese were brought to the area in the mid 1800s to build the railroads, but then excluded from working in the Virginia City mines for fears that they would take jobs from Americans. 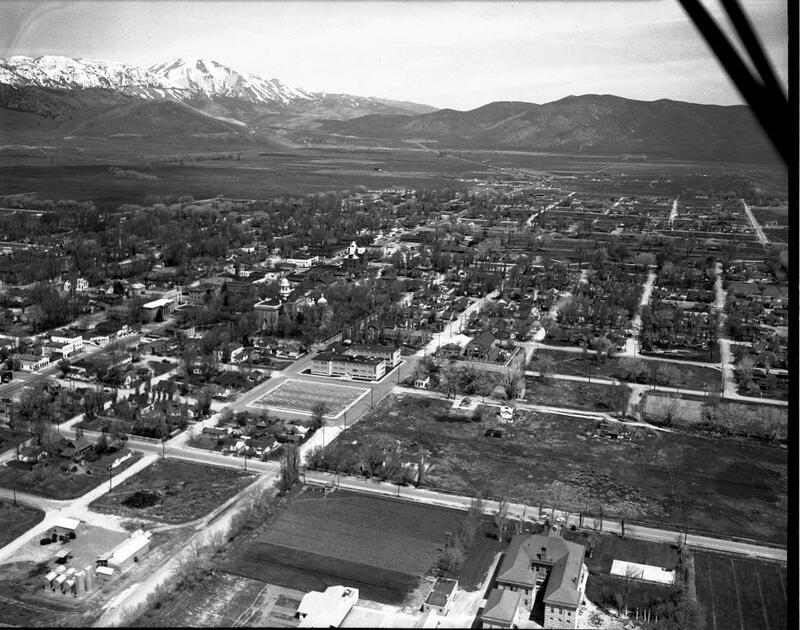 Many of them settled in Carson City but they faced discrimination and segregation and were not allowed to live in other parts of town. The only place they were allowed to live was here, on Third Street. 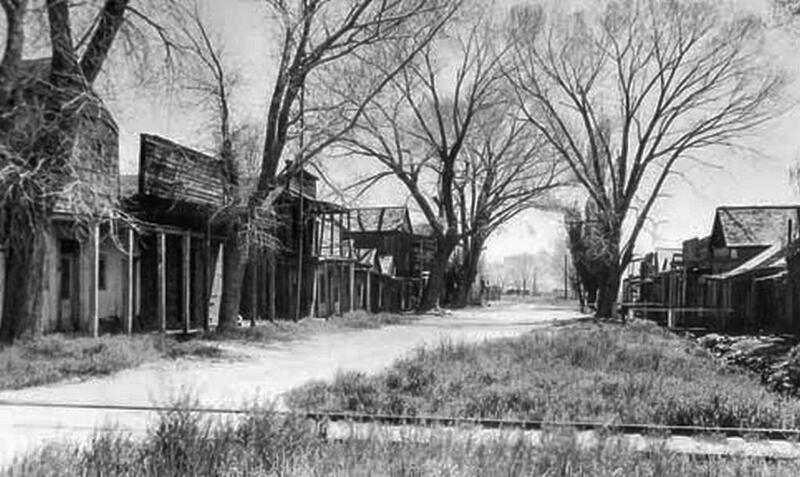 Chinatown in Carson City was centered around Third Street, at the intersections of Stewart and Valley. This view looks east on Third from Stewart. In the foreground you can see the tracks of the Virginia and Truckee Railroad. In the early 20th century, when this photo was taken, these tracks were the main line to Minden. But Chinatown was already in decline by the turn of the 20th century. The neighborhood consisted of hotels, shops, restaurants, houses of worship, and even a Masonic Hall. Chinatown was largely separate from the rest of town even though it was only a couple of blocks away from the Capitol. Some of the Chinese worked as laborers and cooks elsewhere in town, but they were often not allowed to patronize those establishments. Chinatown was the one place where the Chinese were free to shop, eat, and do business with each other. The longtime policies of discrimination and segregation led to most of the Chinese leaving Nevada eventually. Chinatown dwindled until only a few residents remained. The buildings were vandalized and demolished over time, until finally in the 1950s the land was bought by the State for new offices. Now everything in the historic photo has been removed. A parking lot occupies the site, on the left of the photo, of the main commercial block of Chinatown. The State Printing Office is on the right and other State offices are seen in the distance. A historic plaque sits in the parking lot so that Chinatown is not forgotten. This same aerial photo was also seen in my last Then and Now article. Here, just to the right of the large Nye Building in the center, you can see the remnants of Chinatown scattered along Third Street. By this time most of the wooden buildings were gone and only the stone buildings remained.